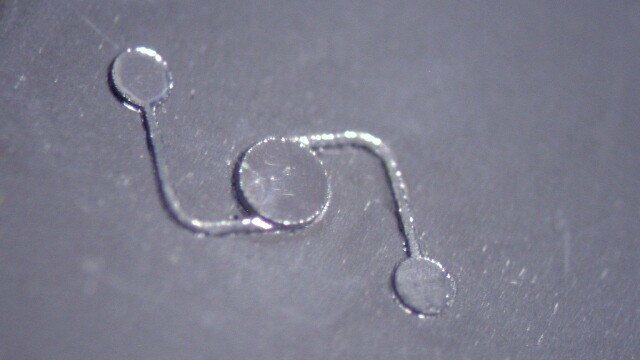 This is a micro-mold of a micro-fluidic mixer suitable for high volume production by hot embossing and cast silicone methods. The part was cut and joined via laser. 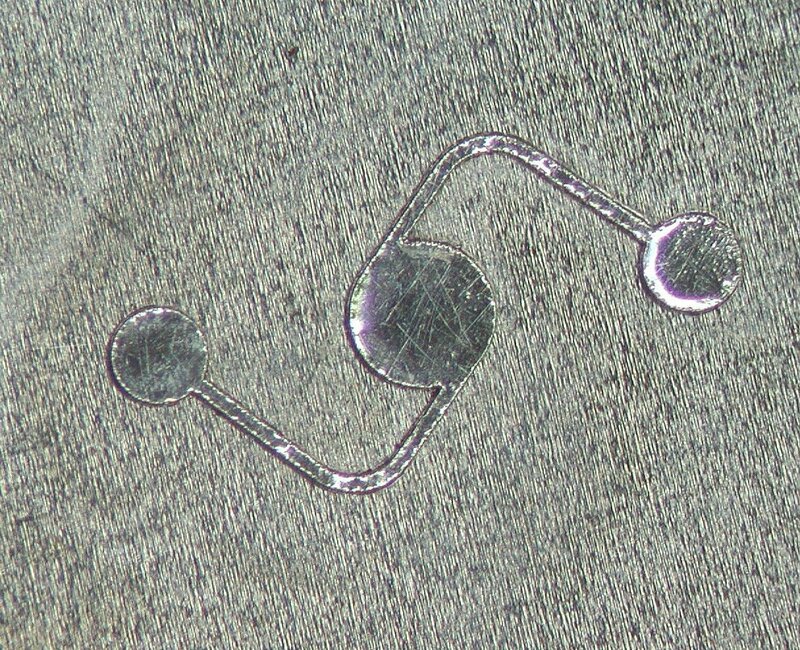 The channels are 50 µm by 50 µm. 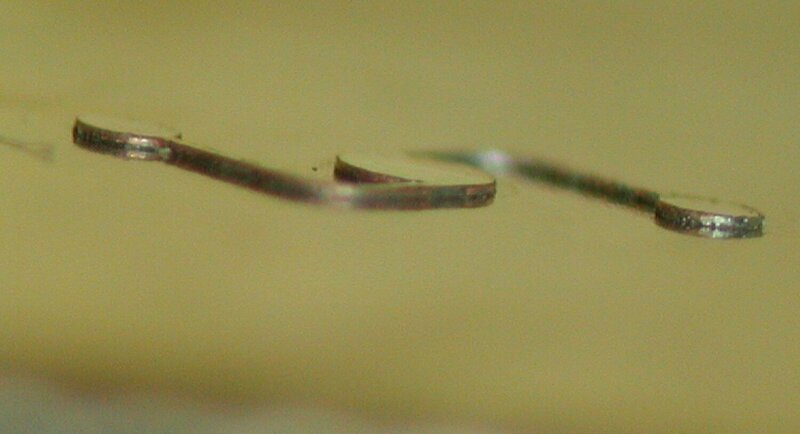 The mixing chamber is 1.0 mm in diameter.